Moms have a tough time looking for traditional clothing for baby boys. Boys anyway have very limited choice of clothing and sometimes the options to shop are also very few. If you are looking for a promising place to buy boys ethnic wear shop in Jaipur, then you will be happy to know that there are some very good kids Indian ethnic wear stores exhibiting a wonderful range of children kurta pajamas in latest patterns and designs. We bring to you a list of kurta pajama shops in Jaipur from where you can buy the best of designer kurta pyjama sets for boys from the vast range of newest styles. 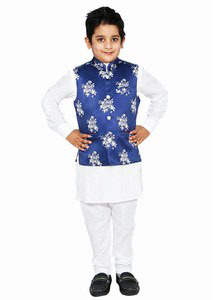 These Indian kids ethnic wear boutiques in Jaipur offer these children Kurta Pyjama with sleeveless Nehru jackets and waistcoats to keep your little one dressed smart for Indian wedding, festivals and every occasions. 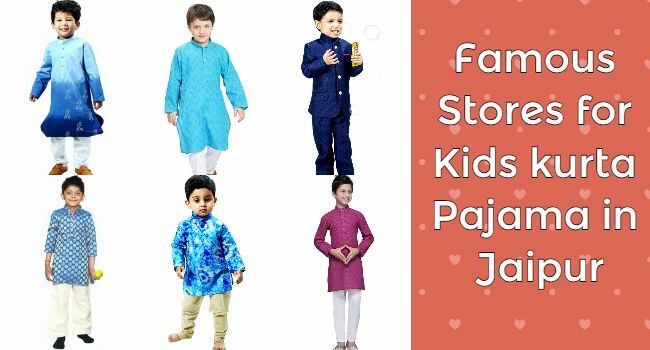 Let us have a quick look at these stores which are the best place to buy ready made ethnic kurta pajamas for little boy in Jaipur. This is one of the best stores to grab exclusive & designer kurta pajamas for boys in Jaipur. Pink Blue India offers a wide range of children’s kurta pyjama with nehru jacket, Royal Jodhpuri Suits for baby boy, kids Sherwani And Churidar Set, dhoti kurta for infants in Indian prints, impressive patterns and classic styles make it the finest kids ethnic wear store in Jaipur. 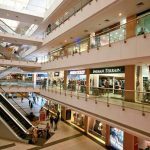 This store showcases an enticing collection of all kinds of Indian traditional wear for boys along with elegant jodhpuri kurta pyjamas ranging from casual to wedding wear style at one place. Good quality, wide range and affordable prices make it the finest traditional Indian children’s clothing store in Jaipur. Getting There: Rickshaws, buses, auto rickshaws, or private cabs. 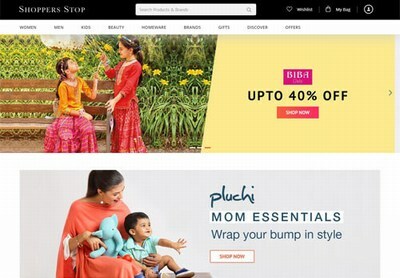 Shoppers Stop is another showroom in Jaipur to get your hands on classy kurta pajamas for baby boys. Find them in classy styles and contemporary fits that suit every taste. Your baby boy will look absolutely sophisticated wearing these smart ethnic wear designed for special occasions and formal parties. A wonderful combination of comfort and elegance, made with newest designs to keep your little one ahead in fashion. Timing: Open from 11 am to 9 pm everyday. Another store to shop for the best of traditional wear for children in India. 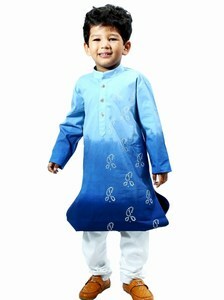 Unique prints and patterns, contemporary styles and stately designs put together to craft very impressive range of kurta pajamas for baby boys. The store has them in various colours and creations that go well with all occasions ranging from wedding to festivals. Timing: Open from 11 am to 9:30 pm everyday. 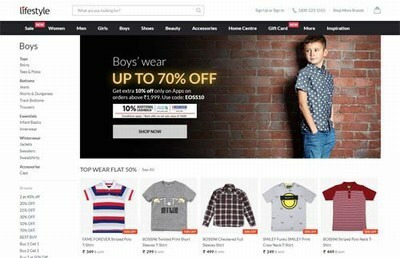 If you don’t wish to spend more on the ethnic wear of your children then Big Bazaar is the best place to pick very reasonable kurta pajamas for baby boys. The collection at this store is synch with latest trends. 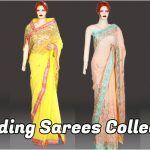 Make weddings, festive occasions more fashionable for your little prince with the attractive range of traditional wear making very occasion all the more special and stylish for your darling. 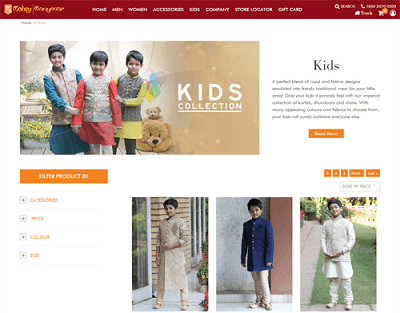 So now you know where to shop for the most innovative and trendy kurta pajama sets for baby boys in Jaipur and dress them stately for the next formal gathering!!!! Timing: Open from 10:30 am to 10:30 pm everyday. Virat Kohli is the brand ambassador, must have seen the ad on TV. Timing: Open from 11:00 am to 9:00 pm everyday.